This was an unplanned dinner but I figured since we were in the area after an appointment, we would find something easy and good to eat at Cooleman Court. TimmyC’s eyes lit up when I mentioned Kusina. Kusina it is then! 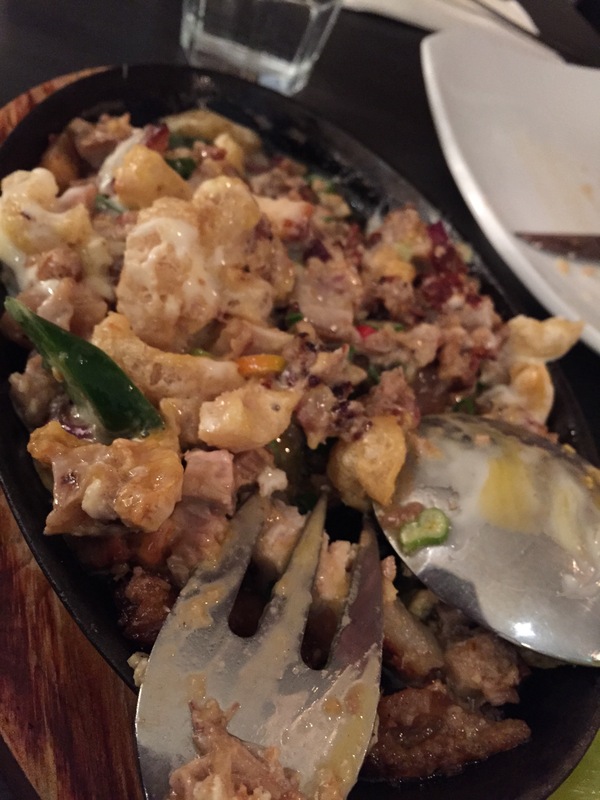 Sizzling sisig (Kusina’s best seller). 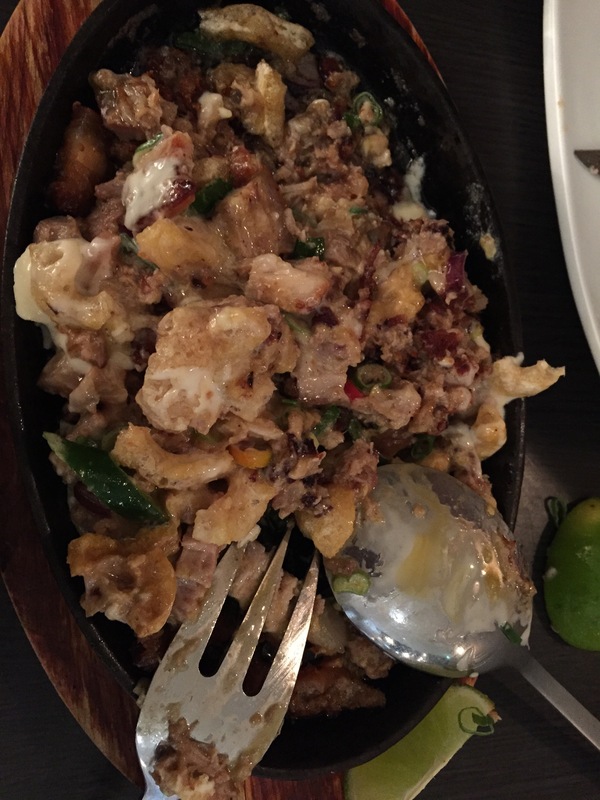 Thrice cooked pork, chilli, lime, mayonnaise, egg ($22.00). This dish is a combination of pieces of pork, soft pork skin and crispy pork crackle. It is very creamy (from the mayo)/meaty and the egg really brought the flavours of dish together as well as literally bind them together after being stirred in with the hot ingredients. I also loved the addition of lime wedges. 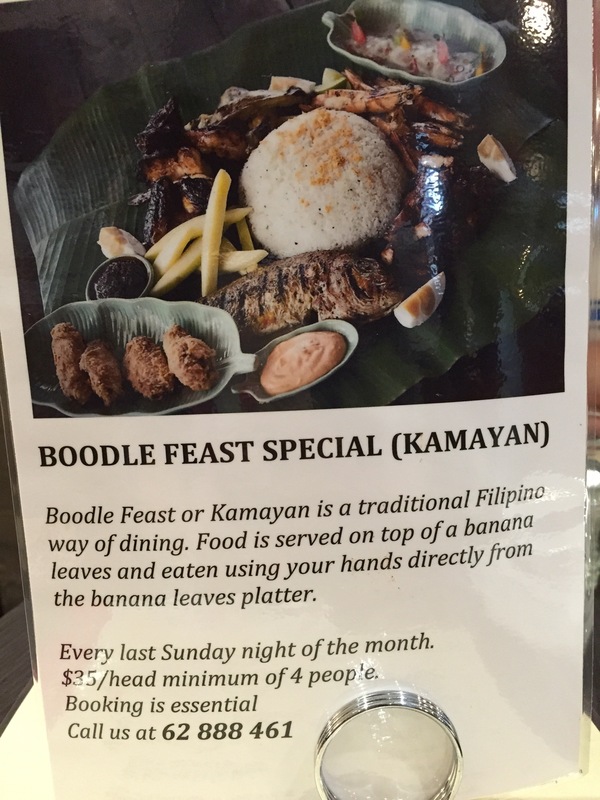 I can see how this is a popular dish, it is truly delicious and goes very well with rice. We ordered plain rice to not take anything away from the dishes itself. Not the most prettiest dish but I would definitely recommend this! My friends and I have talked about doing this, maybe I should remind them and we could try it next month. We came in late without a booking which was fine, but when they turned off the kitchen heat lamp, our already dim corner seemed like someone turned off the lights and it was time for bed. The staff was very friendly and attentive. I really enjoyed the food that we ordered (well the mains at least). I would love to come back and try more of the menu or maybe even their breakfast! Don’t forget to use your Entertainment book voucher!